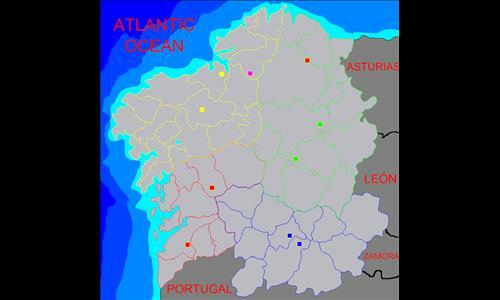 Map of Galiza/Galicia divided in "bisbarras" or "comarcas" (Iberian traditional division). This is a region which is located in the Northwestof Spain. The original bonuses are the present four provinces in which Galicia is divided, but you can also choose an apoximation of the seven anciant provinces (which weren't located exactly like in the map) that have no bonus by default. I know this is not a very strategical map but it is where I am from so I hope you all enjoy it. Decent Map, no complaints here. Review by Captain Carrot on 3/3/2014.